11 LONDON FIRST Judith Salomon; The landbanking myth, When is congestion not congestion? 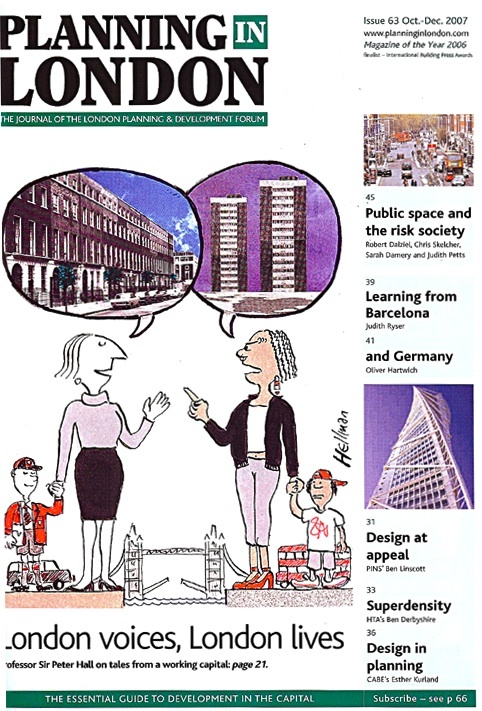 Planning Applications April – June 2007, How quickly will I get a decision on my appeal? Housing green paper, Planning white paper and more. 25 From retailer to regenerator Patrick Stones is property director of Tesco PLC. 36 How does design fit within planning? 45 Public space and the risk society Robert Dalziel and Chris Skelcher, Institute of Local Government Studies. Sarah Damery and Judith Petts, Department of Earth and Environmental Sciences, University of Birmingham.